Aphrodite Slim has an appeal of an ancient cultivated beauty that is reproduced with the help of an ultra-narrow lines and almost fragile shapes. Covering 1000 glyphs it has a ton of decorative characters and special ligatures for reproducing phrases and sentences not only in English but also in French, Spanish, and German. In addition, it lets prettify beginning and ending of words. 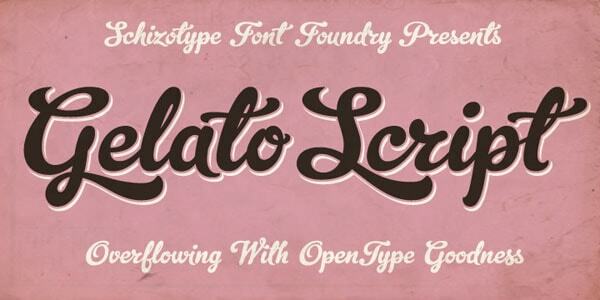 Gelato script is a matchless handwritten font that in bold weight achieves the fantastic effect. Along with elegant and polished appearance, it also looks smooth and eye-catching. It counts more than seven hundred glyphs that make it suitable for writing in various languages, mainly on those that have roots in Latin alphabet. With Funkydori you are guaranteed to achieve a harmonious vintage appeal. 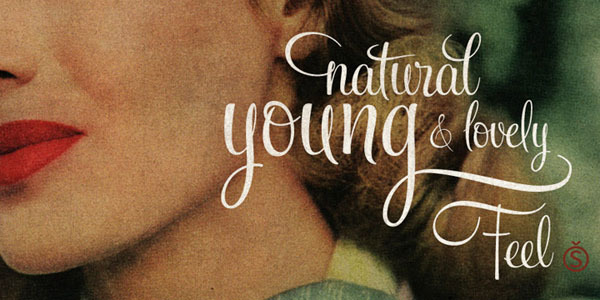 The typeface has a subtle old-timey vibe that thanks to swirls and boldness looks a bit massive, and at the same time, exquisite. Being inspired by 70s, it is charged with groove rhythm. It is available in 5 licensing options and features a bulk of characters. Feel Script is an optimal variant for those of you who need to add to the artwork fashionable and graceful touch. Covering all the possible stylistic, contextual and titling alternates as well as ligatures and swashes, it enhances various multi-language projects without problems. 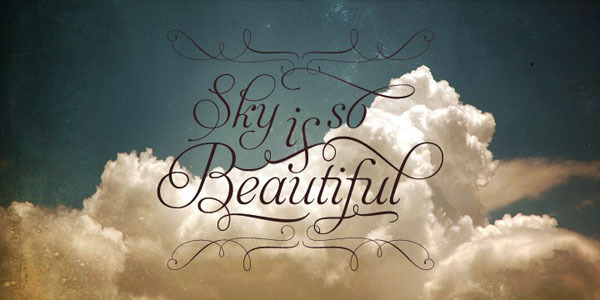 Sugar Pie is an exceptional bold type that owes its stately beauty to elegant nature of calligraphy. It radiates of softness, chic, and delicacy. It successfully reflects the era of 60 spiced up with wide and smooth brush strokes. 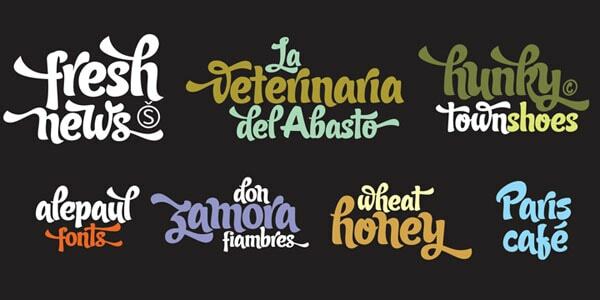 The set covers various alternates and ligatures and is well-suited to Latin-based alphabets. 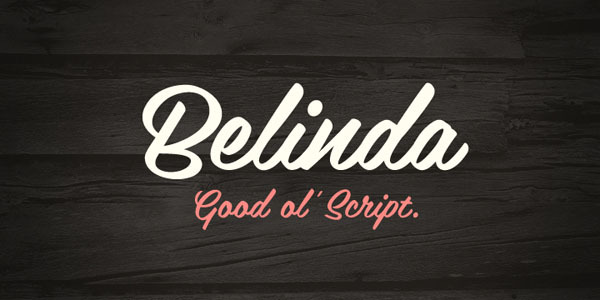 Belinda does not have any decorative touches or extra swirls inherent to uppercase characters. However, it has neat and graceful lines that make it an optimal solution for majority projects that want to maintain readability. Much like the previous example, it is also enriched by brush strokes. As for characters, it has all the popular symbols and even more. 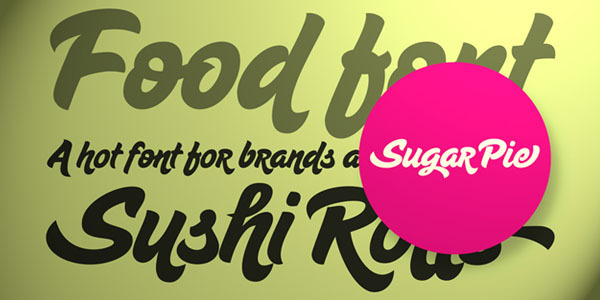 Candy Script has a funky look and is defined by a blend of elegance and playfulness – that is a quite rare combination. The author capably incorporated the spirit of vivid and lively Argentina culture into it. 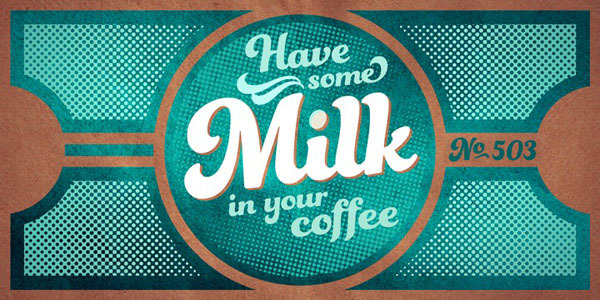 With a gazillion of OpenType alternates, over 600 vigilantly crafted characters and five licensing options, this bold but delicate hand-brushed type will leave its mark in any project. Although cursive types are most often associated with something slim, delicate and ultra-narrow, yet they also can be bold and a bit rough in order to feel comfortable in the complex compositions with textures and patterns. Not only do they add delicacy and gentility, but they are also capable of reflecting elegance of various eras, giving artists an opportunity to work into projects subtle sense of retro vibe or energetic rhythm, groove, old-timey feeling, hipster appeal, or modernity.